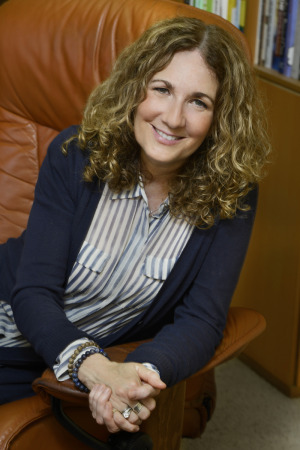 Dr. Beth Dorogusker has worked in the field of psychology for over 25 years, providing psychotherapy to children, adolescents and adults in both the public and private sectors. She received her Bachelors degree from Union College graduating Phi Beta Kappa with psychology honors. She received her Ph.D. from the Derner Institute of Advanced Psychological Studies. She has worked in many hospitals both nationally and internationally. She served as the Director of the Child and Adolescent Inpatient Unit at Trinitas hospital specializing in the treatment of trauma and abuse using individual, family and group therapy. She also worked as the Director of Psychology Internship training where she taught and supervised interns and clinical staff. Her presentations were on Child and Adolescent Psychiatric Disorders. In private practice, Dr. Dorogusker works with people across the life span with a specialty in adolescents and young adults. Her expertise includes treatment of anxiety, depression, ADHD and families working through divorce. In working with children and teens, she typically collaborates with parents and the schools when indicated. Her primary theoretical orientation is psychodynamic and she has also received training in Dialectical Behavioral Therapy (DBT).